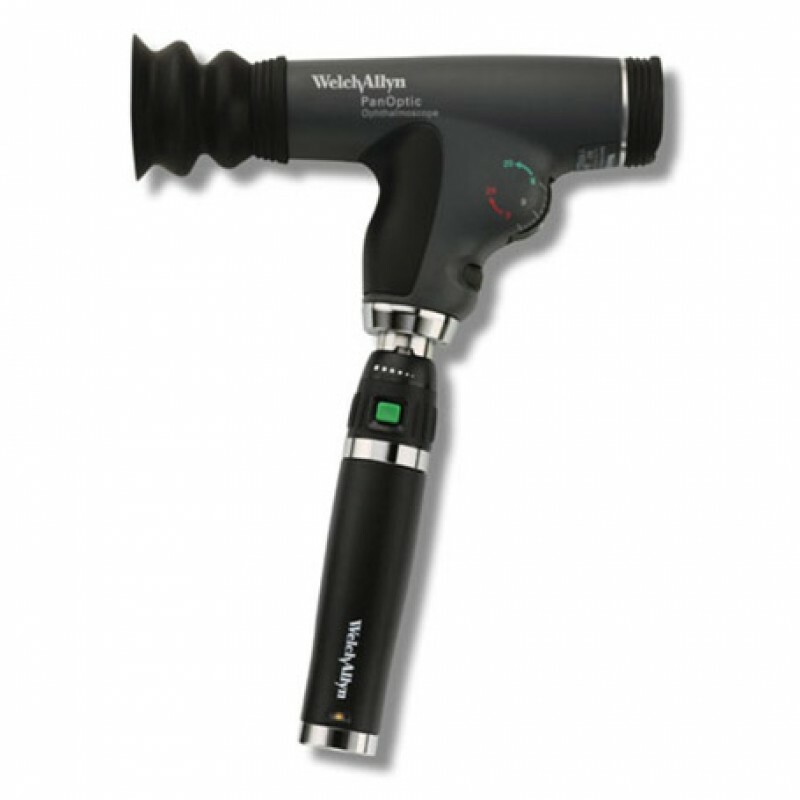 A lightweight, easy to use ophthalmoscope, ideal for veterinary use. The innovative optical design of Axial PointSource™ Optics allows wide angle examination of the fundus, with easy access through undilated pupils, giving a similar view to a monocular indirect. 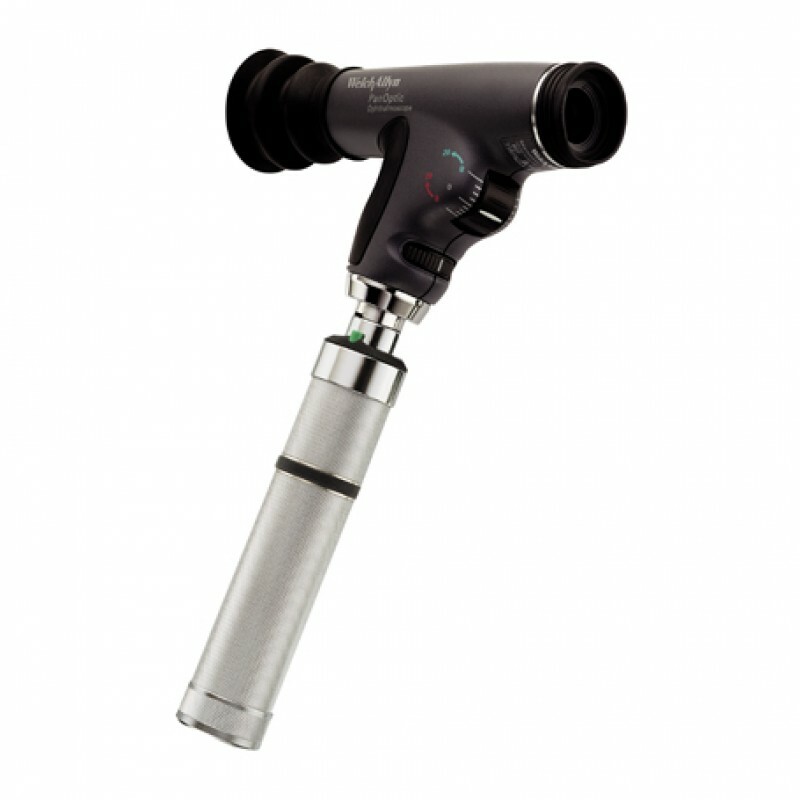 The Pan Optic gives a 5x larger view of the fundus with a 25° field of view compared to the standard 5° field of view of the direct ophthalmoscope. The patient eye cup establishes the proper viewing distance, screens out ambient light and helps with orientation. 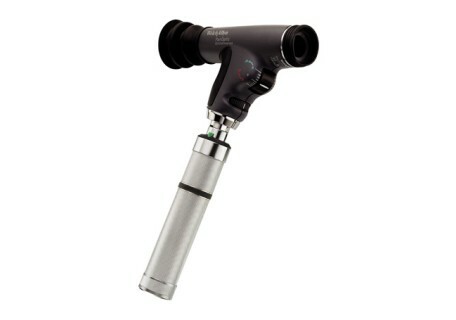 The dynamic focusing wheel adjusts the focus in a continuous smooth action for more precise control.